BORN: 1819 in Danby, NY. (Various commands as Chief Engineer) and Mobile. Martin Luther Smith was born in Danby, New York, on September 9, 1819. Graduating from West Point in 1842, he was sent to Florida on surveying duty, then served in the Mexican War. Upon his return to the United States, he moved to Florida, took a civilian job, and worked as an engineer until he resigned from the US Army on April 1, 1861. In March, he had accepted a commission as major of engineers in the Confederate service. Although his family was from the North, Smith had lived down south since the age of 22, had married a woman from Georgia in 1846 and had business ties to the South. He worked on New Orleans' defenses in the summer of 1861, and was promoted to brigadier general on April 11, 1862. After being assigned to the command of Vicksburg, he was appointed major general on November 4, 1863, and worked on the city's defenses until it was captured in July of 1863. He was paroled, but not exchanged until March of 1864. 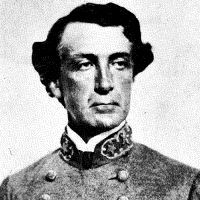 Smith was made Gen. Robert E. Lee's chief engineer, then held the same post with the Department of Alabama, Mississippi and East Louisiana. After constructing the defenses of Mobile, Alabama, he remained there until the city fell, then surrendered at Athens, Georgia, in May of 1865. After setting up a civil-engineering company in Savannah, Georgia, Smith died, on July 29, 1866.